This 2012 founded startup has come a long way since providing traditional consulting services to offering world class solutions in artificial intelligence and analytics. Formerly called Ma Foi Analytics, Lymbyc started their journey with the core objective of building a world class analytics product that can be taken to the world. 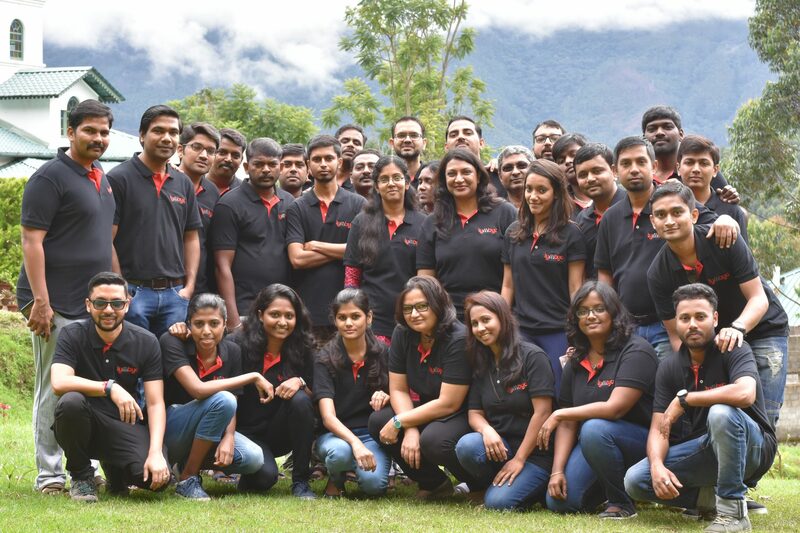 “Given that we were a boot strapped company, it was important for us to remain rooted with the clients to understand the challenges that are emerging, build a solid team that is driven by the vision and spend time in building the basic building blocks that will be needed to build a world class product”, says Ashish Rishi, Head Analytics at Lymbyc. With this in mind, the startup spent first two years in building a big data analytics platform , that they have applied patent for, eventually boosting them to test the market with their product vision. “In the last 18-20 months we have been focussed to build a solution at the intersection of big data, Artificial Intelligence and advanced analytics and all that effort is culminating into “Lymbyc – your own Virtual Data Scientist”. 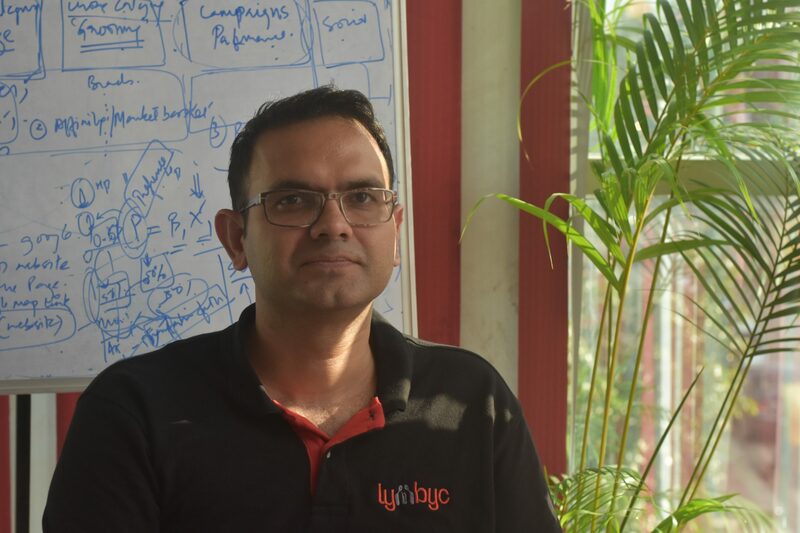 With Lymbyc we have achieved the vision that we had set for ourselves, and this has been made possible because of a lot of innovation around NLP, ML, technology stack and UI/UX elements”, says Rishi. The startup that wants to keep building on the NLP engine side, intends to bring in newer data types like voice & video and build a prescriptive analytics layer—essentially truly becoming a personal Jarvis for every analytics driven business Ninja. A collection of micro services offering data collection, data analysis and intelligence REST APIs out of the box, EpocH essentially helps user to store, manage and extract algorithm insights. “We use MongoDB as the primary datastore and have an automatic datasync for Elasticsearch”, shares Rishi. Further explaining about EpocH, Rishi says that its architecture is flexible enough to plug any other SQL or No-SQL database. “There are a variety of No-SQL databases available today and each one solves a unique purpose, so for e.g., if we want to support a graph-database (say Neo4j), then this can be done and the data pushed to it. We look at EpocH as a platform to aggregate the best database and machine learning engines so that they can be packaged together quickly to serve the client use case”, he adds. They have build connectors for SQL, No-SQL databases (Mongo DB, Elastic Search etc. ), Salesforce database and Twitter, and as a base they use the Talend enterprise Data integration software suite for our connectors. “Talend provides connectors for almost all available data sources and this gives us the ability to build and connect quickly to a client specific new data source”, says Rishi. The core offering by the company is “Lymbyc”, which the company calls virtual data scientist and can be trained for specific use cases for any deployment. “At this moment our focus on solutions & use cases is based on two dimensions. First is Industry type including consumer technology such as healthcare, pharma, retail, e-commerce and second is Business Functions such as Sales and Marketing. In essence, Lymbyc is a suite of industry focused use cases. NLP engine: They use three different APIs for NLP processing a.) Google API for text parsing & POS tagging b.) Stanford SU time for time based interpretation and c.) Self developed NLP framework for converting the POS tags into intermediate and final querying language. The claims that their greatest innovation here is a new querying language, which they call as MIRA (Machine Intelligence for Research & Analytics), which is an engine that is able to take the tags and convert it into querying language. Ontologies: They use multiple levels of ontologies besides the core English ontology within Lymbyc NLP framework. These range from industry specific ontology – prepared over time to client specific ontology. This library is pre-developed at an industry/sub-industry level, and modified to accommodate the client specific ontology. Expert System: They have built a rule engine that understands the context and initiates a custom algorithm run that mimics all stages for an algorithm run, including data munging, model development & validation. From a flow perspective, the NLP engine is able to identify that an activity needs to be initiated for the query at hand, and based on this input, the relevant expert system algorithm & associated process is invoked. Sub domain prediction: Looking for answers in a data lake is a large problem. Within Lymbyc, they look at use cases as a combination of sub-domains. This approach helps the engine in reducing the data search to a limited dataset. This sub-domain prediction within the data lake is managed by a ML module. Recommendation Engine: It facilitates contextually relevant topic recommendations to appear first as the user interacts with the product. The objective here is to use the power of the collective in mapping user journey as they interact with the NLP engine and use this learning to make recommendations to the new users. Reinforced Learning: Feedback mechanism that takes the user input on the visuals that are presented, seek feedback and learn user preferences over time. Lumbyc has helped solve big challenges for their clients with challenges ranging from brand tracks to pricing engines on one hand and competitive intelligence on the other. Rishi shares that a Fortune 20 global consumer technology brand, Lymbyc was deployed to help insights team bring in all marketing research data together. Lymbyc was able to reduce research insight time from weeks to hours. “As a next step the client is looking to bring in external data onto the platform”, he adds. Another use case that he shares is that of largest GPO organization based out of US, where Lymbyc is being deployed to streamline pricing process for the group – which is core for their existence. “This will remove a lot of inter dependencies that existed in the system and will ensure that sales intelligence is centralized”, he says. Lymbyc being a cutting edge solution, there is as such no direct frame of reference for customers when they encounter it the first time. “This means that it is sometimes hard for folks to imagine all the possibilities beyond what they see say, in the demo, or the marketing literature, notes Rishi. He also shares that Lymbyc is the strongest when it comes to throwing vase and varied data at it. “A lot of clients, especially in markets like India, are still working their way through that and even though Lymbyc could actually help speed that up, from where they sit, this solution feels ‘too evolved’ for their current state of data”, he adds. “From a client perspective, India is relatively new in embracing analytics. Most clients are used to IT budgets and spends and view analytics under the same lense, which is not fair and also sets up for unrealistic expectations. Clients in India are also not very well versed with the analytics life cycle and hence have to go through a learning cycle of their own”, he adds. He also shares that from a resourcing perspective, India has a lot of core engineering, mathematical, statistical & econometric talent, however the limitation is with respect to their readiness for the market requirements. The startup strongly believes that artificial intelligence and its sub fields including NLP, ML, Robotics, Knowledge graphs will be the defining technologies of the future. As chatbots, intelligent assistants, RPAs and autonomous cars have come through a defining hype cycle, most of these technologies are well set for an exponential growth and a disruptive power never seen before. “As our need for leveraging these technologies will grow so will be our need to leverage hardware based technologies in tandem. Whether these are custom GPUs or dedicated machine learning processing units or quantum computing, the world as we know it will change”, says Rishi in the concluding.